I normally have Friday nights off. I did not have that this past Friday. I was asked to pick up an extra shift and in return, I got Sunday off. Sounded like a good deal to me, so I took it. I had a pretty light workload on Friday with my only real task driving to Paw Paw then back to Kalamazoo. I left Grand Rapids just before five and on the way, I realized I was hungry. I don’t know why, but for some incredibly dumb reason, I was craving grinders. There was no place to get grinders on my way to Paw Paw, but I knew with a little detour, there would be a place to get grinders…so when I hit D Avenue, I pulled off the highway and headed towards Gobles. 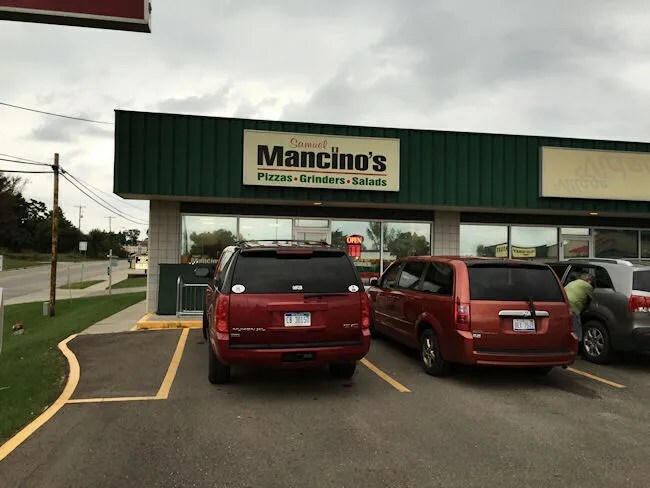 There aren’t a lot of food options in Gobles, but right on the edge of town right on M-40, there’s a Samuel Mancino’s Italian Eatery. The small restaurant is in a small shopping center that also includes a Village Market. I should have taken notice of the packed parking lot and the fact it was a Friday night, but I didn’t. I walked in to a pretty crowded store and grabbed a menu off the counter. 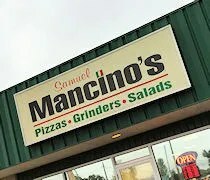 I typically always order the same thing at any Mancino’s, but I decided to go a different way this time. After the three families in front of me put in what must have been three very complicated orders, I stepped up to put in my order for a 16″ chicken parmesan grinder from a guy who really didn’t want to be there. He never once made eye contact and was borderline rude. I understand he was a little overwhelmed with orders and normally I wouldn’t even care…but his lack of enthusiasm cost me about another ten minutes on the back end. I had a little work to do after I got my order in and paid for, so I grabbed an open booth and got to work on my laptop. I figured it would take about ten minutes to make the sandwich, but as that turned in to fifteen and eventually twenty, I got up walked back towards the counter. Turns out, there were a bunch of orders that were sitting there for people who were waiting for them. A completely different employee came out from the back, saw all the people standing there and all of the orders on the rack and quickly figured out what was going on. He started grabbing bags and calling names….and that’s when we all realized our orders had been sitting there for a while and the guy working the counter just ignored them. After getting my sandwich, I headed back to the car to continue my drive south. I was running pretty late now, so there was no time to eat once I got to my destination. I knew if I was going to eat I was going to have to do it in the car. Despite the bad service at the restaurant, the sandwich was incredibly delicious. 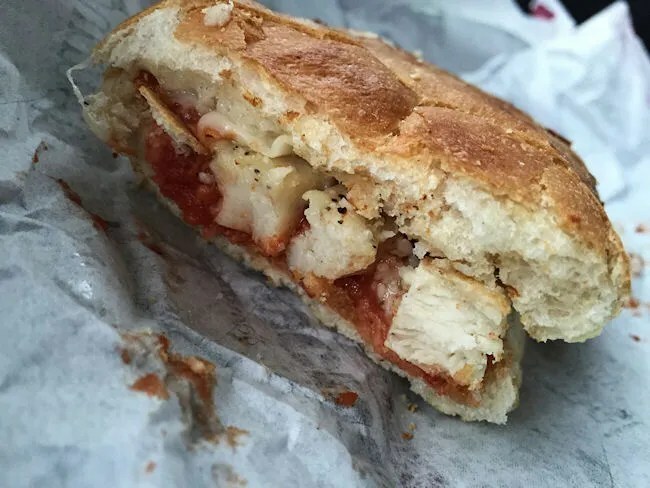 The toasty grinder bread was topped with sliced grilled chicken breast, marinara sauce, mozzarella and Parmesan cheese. There was a lot more chicken on the sandwich than I expected and that is a good thing. The bread had those delicious crunchy bits around the edge that make Mancino’s grinders so much different than others who try to copy them.